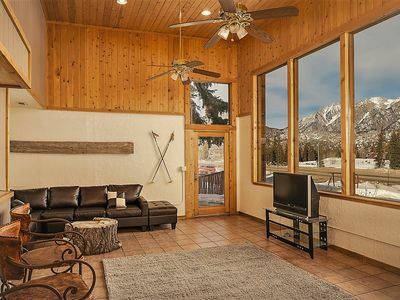 Soak in 2 levels of incredible views in every season at our Durango Dream Views condo. In summer and fall, walk a minute across to the scenic lifts, and in winter Ski in Ski out from the courtyard. 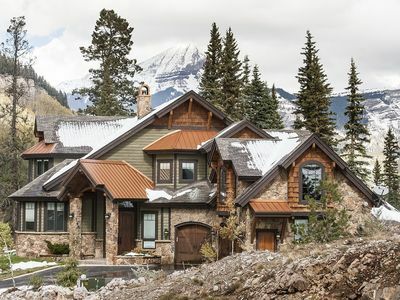 Enjoy a refreshing retreat from the bustling world at 8,600ft, in the spectacular CO Rocky Mountains. From sweeping summer greenery against Cerulean blue skies (you know, that vivid blue that looks impossibly straight out of a paint tube), to glowing fall aspens, and glorious snow covered winter peaks; our East Rim corner condo's year-round mountain views are hard to beat. Beautifully renovated to be enjoyed by our family and guests, Durango Dream Views is designed to be romantic, comfortable and memorable. Plentiful art, a myriad of rustic textures, and saturated nature hues bring the gorgeous outdoors into our home. In winter season ski in ski out at Purgatory from our East Rim Bldg. D courtyard, and wave to bunny slopes skiers down below, from our balcony and Patio. 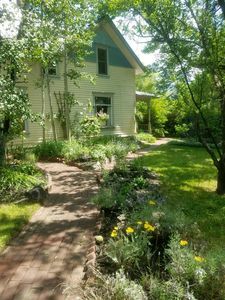 In summer, spring and fall seasons, our upstairs balcony and downstairs patio offer outdoor spaces with stunning vistas that help you remember why its great to be alive. 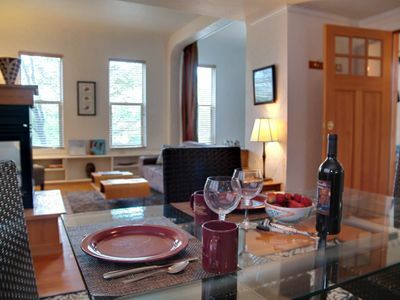 We've rented directly by owner since 2008. Ask owner Sunshine questions using the "Send Message" link under owner name, or if ready to reserve, use "Request to Book". I look forward to hearing from you. Many of our base rates offer savings for smaller families/ lower occupancy, moving to standard seasonal rate as guests are added. 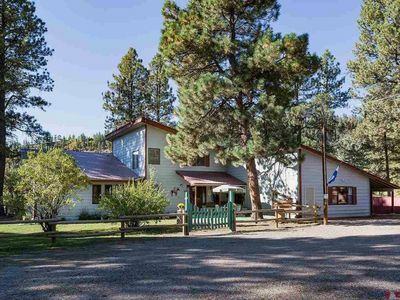 Or save with great summer weekly rates with 2 base rate nights included free (Saturday to Saturday only), and weekly ski savings rates. Our maximum occupancy is 6 adults, or up to 8 guests if at least 2 are children. We are pet friendly with specific pet policies (dog only, max 1 with approval and fee, pet must be kept off beds and furniture) in order to upkeep our home beautifully for all guests. Christmas, New Years Holidays rent separately, with a 5 night minimum or include the 7th night Free! 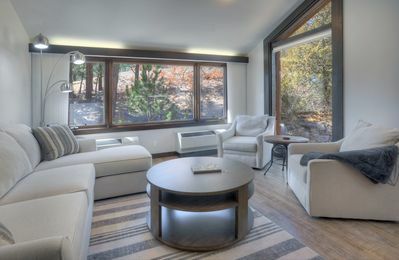 The living room's 3 large glass doors offer spectacular views every day from much of the upstairs, of the Needles Mountains, Twilight lake across the highway, and the winter Bunny Slopes down below. 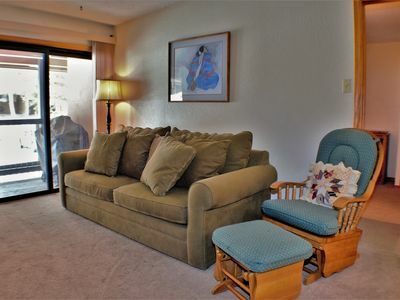 Our corner condo is approximately 1274SF, on 2 levels with (NEW! in fall 2018) Shaw Made in the USA hand-scraped maple floors on both levels, carpeted winder stairs with a new handcrafted knotty alder railing, a balcony and a patio. 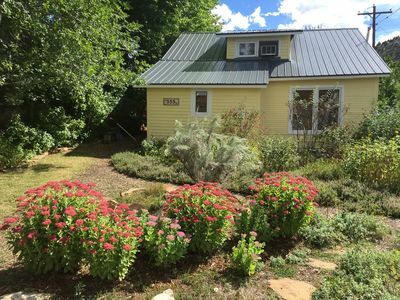 Also new in fall 2018, our home has knotty alder doors and trim throughout the interior, including a new entry door. 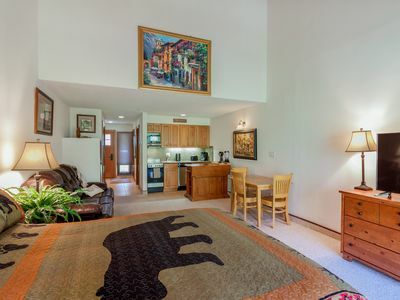 Our upstairs is Durango Dream Views main living level, featuring the kitchen, dining, living, artwork that brings the outdoors in, a full bathroom, and a balcony with dinging seating for 4, and a gas grill. 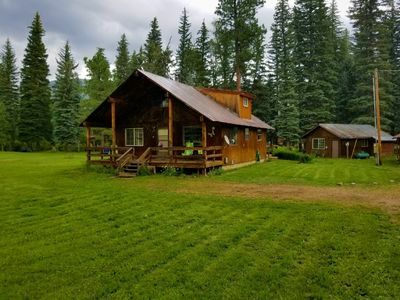 In addition to the 3 large sliding doors, 2 beautiful new wood side windows and a tall window by the fireplace offer addtional natural light and scenic views. 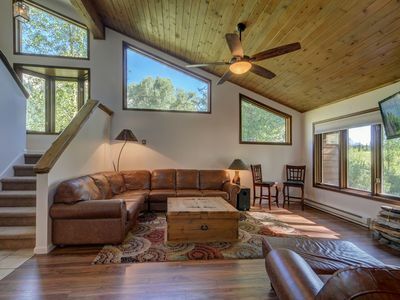 Durango Dream Views is a great place to be! Enjoy family evenings at beautiful farmhouse style reclaimed wood table. Eight padded leather chairs, a highchair for baby (and a custom coffee table that doubles as extra seating for children) make the table perfect to gather round for family games or socializing after dinner. Matching dinnerware, decorative plate chargers, leather placemats, handforged flatware and Italian glassware set an inviting table for your family. 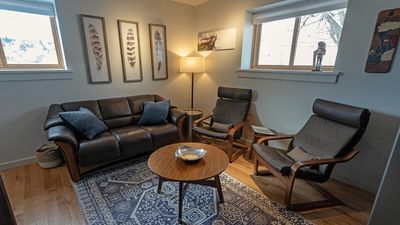 The living area features a large, down stuffed flannel and leather trim sofa by Lauren Schnadig, and a made in the USA queen sleeper bed sofa. Both coffee tables are custom made from reclaimed silo wood by a CO Springs wood artisan. A woodburning fireplace with stone trim and wood mantle compliment the romantic mountain ambiance. Aspen wood is seasonally provided outside by our HOA, we reccomend bringing 4hr logs to make fire upkeep easier. A smart TV with Direct TV satellite service is mounted above the fireplace. The satellite can be impacted by winter storms. Our kitchen features Maytag made in the USA stainless appliances. Enjoy the luxury convenience of a bottom freezer fridge and Gemini double oven. The counters are our family's favorite purchase, in beautiful Aurora Borealis Granite, accented with a chocolate glass backsplash. 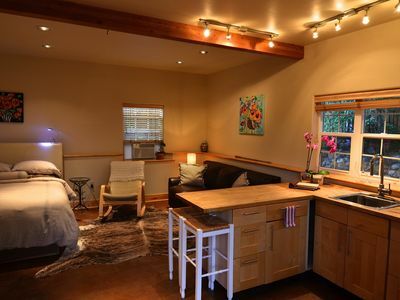 You'll love the plentiful lighting, and tall faucet that's easy to get pans beneath. Every inch of cabinet space has been utilized to provide plenty of mixing bowls, a crock pot, blender, mixer, primarily stainless pots and pans, a roasting pan, baking pans and more. We cook special family dinners here too, and strive to ensure that our guests will be have all the utensils needed to prepare lovely meals. Our 2.5 bedrooms are downstairs, accessed by carpeted winder stairs with a handrail. Even the stairwell is pretty, with colored glass lights and warmly saturated artworks. At the bottom of the stairs is the 3rd bedroom. the bunk room is a pass-through space best suited to children, yet is spacious and inviting. There is a full bottom bunk reinforced for adults, and a twin upper bunk. The room has an attached powder room with toilet, vanity and front load LG washer and dryer. Joyful art, Pottery Barn quilts, a door with window and window behind the bunk bed, and a new guest closet with local craftsman made knotty alder mirrored doors complete this welcoming space. A wood and privacy glass door lead to a fully renovated jacuzzi room. Renew your woo, relax sore muscles, or let the children have a bubble bath. With full travertine walls, reflective glass accents, and dimmable lights, and massage shower head, the corner jacuzzi tub room will be a family favorite. 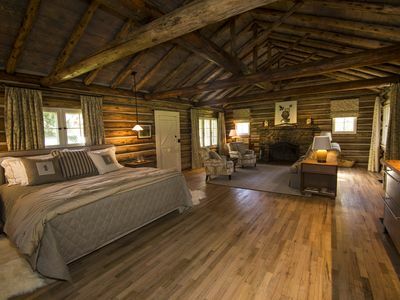 Both of the private bedrooms bring the romance factor, and offer lots of comfort. 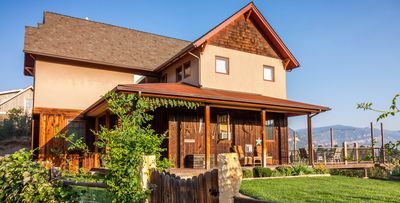 Lay in the comfy queen bed and gaze out at the gorgeous mountain views, through glass doors that lead to the private patio. Two dimmable glass drop chandeliers hang over the bed, complementing gilded accents and layered Pottery Barn bedding. The patio features a loveseat swing, and Pier 1 wicker table set, and never-ending mountain views. The adjacent King bedroom offers the added convenience of an attached powder room. The room is a beautiful space to reconnect with your spouse, the crystal drum chandeliers over the bed sparkle on the suede paint walls. 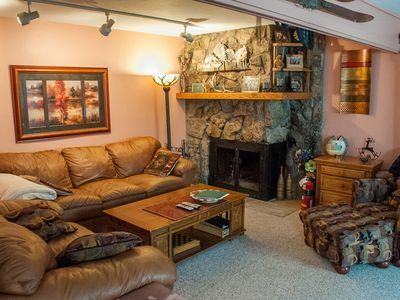 In the evenings skip the TV, and instead turn on the wall mount, wood frame electric fireplace and cozy up. Pottery Barn velvet and a RL cotton kilim texture duvet filled with down, make the comfy Tempur-pedic king mattress special and restful. Both private bedrooms have flat screen TV's with Direct TV*, RL suede walls, hanging closet storage, and creamy, softly pearlescent ceilings. We've striven to create bedroom spaces that are worthy of a Colorado honeymoon, anniversary, birthday, or just that chance to remind your spouse how much you love them. There is 1 full bathroom upstairs with a toilet, and tub-shower combo. This bathroom has been modernized with a new vanity, tile floor, Kohler toilet and fixtures, Its white tile may be the only orignal feature remaining in our East Rim home. Downstairs are 2 powder rooms each with vanity and toilet, and a separate corner Jacuzzi tub combo with shower. The king powder room leads into the jacuzzi room with a glass and alder pocket door. The jacuzzi room can be separated from the king powder room and the bunk room with alder and glass privacy doors. A washer and dryer (BYO HE detergent) are in the powder room attached to the bunk area. To make vacation more enjoyable for moms with babies and toddlers, at "Durango Dream Views" we offer 1 standard and 1 large pack n play, a folding highchair, an Alex Toys play mat, and Little People toys. There are also plenty of childrens books for all ages to read bedtime stories, and board games. We have a baby gate, and try to stock toddler dishes and spoons. There is wi-fi, its speed is sufficient to play movies on the living room Smart TV and goes out rarely. While there are 3 TV's in our home, we like to "tune out" when on the mountain, and rarely use TV when there (maybe for an urgent football game or a dose of DIY). You will likely know more about the TV's and satellite than we do. 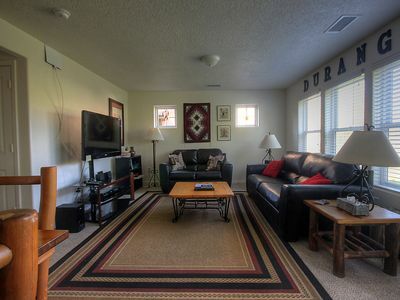 The upstairs TV mounted above the fireplace is a smart TV and does have a DVD player and HDMI. All 3 TV's have Direct TV satellite service, yet note that satellite service can go out during heavy rain storms or snow storms that are on the way. NEED MORE SPACE for MULTI- FAMILY STAYS? 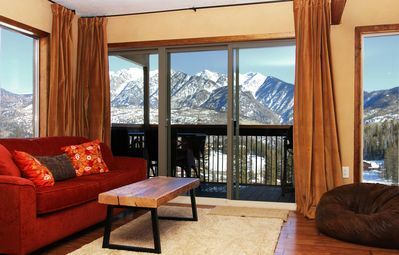 If our Dream Views Ski In Ski Out location is full, please check availability for our beautifully decorated "Durango Dream Views Waterfall" East Rim Condo, located just 2 minutes walk over. Type 192894 in the "where to go" search box, and hit enter (ignore if a foreign place comes up under the search box, pushing the search button should take you to Durango Dream Views Waterfall). Please reach out to Sunshine if you have more questions. We treat our homes like nests, and value our guests. 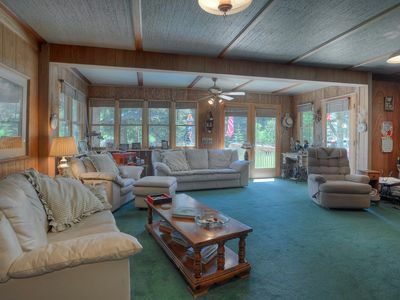 We strive for our homes to be one of a kind, with annual interior updates. 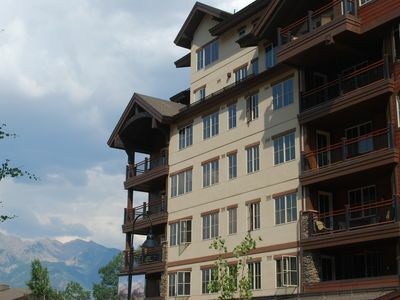 Our family hopes that you will love your Durango Dream Views stay, and return each year. 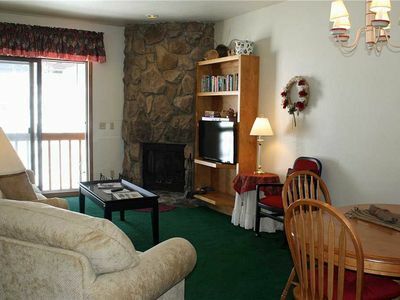 End Unit 1 Bedroom 1 bath Full Kitchen - Free ski shuttle to and from Purgatory Resort!